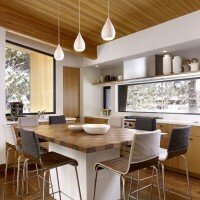 John Maniscalco Architecture designed the Sugar Bowl residence in Norden, California. 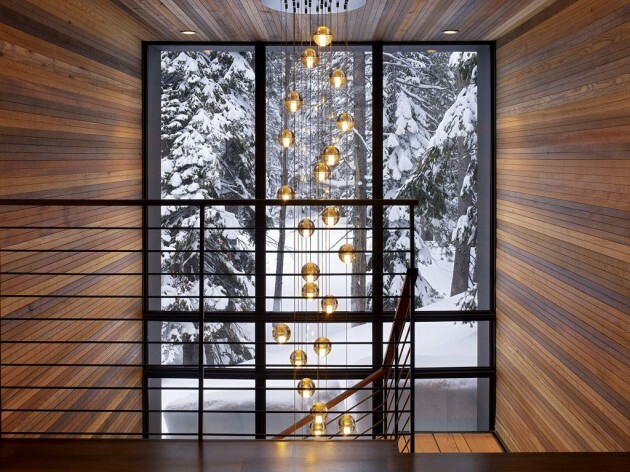 The design of this new home in the old village at Sugar Bowl is entirely a product of its dramatic environment. 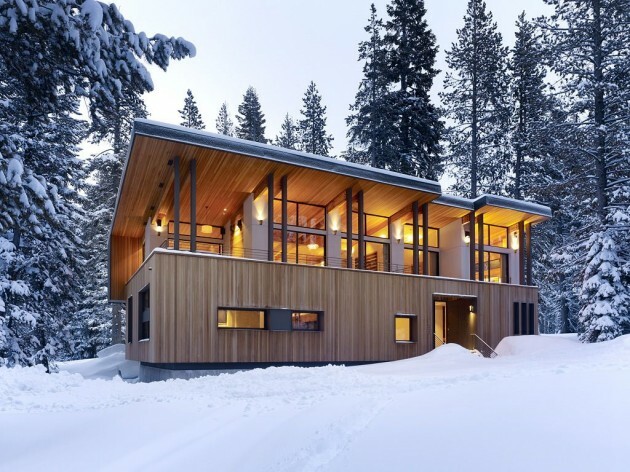 With a snow pack of as much as 8-9 feet, massive snow loads, and dangerous shear snow blocks dropping from typical sloped roofs, the site conditions dictate design. 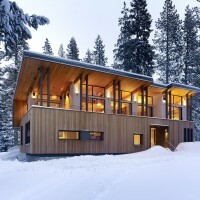 This new house uses the constraints to shape an elegant solution. 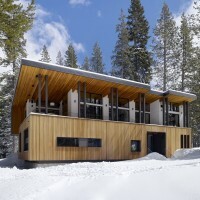 Taking a historical railroad avalanche shed as a precedent, the house uses a simple, bent planar roof form to gather the rooftop snow pack and shed it to the rear of the structure, away from entry and pedestrian traffic. 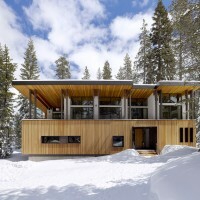 Perched on a concrete plinth that lifts it above the tall winter snow-pack, the house allows snow to rise around it and meet the entry level. 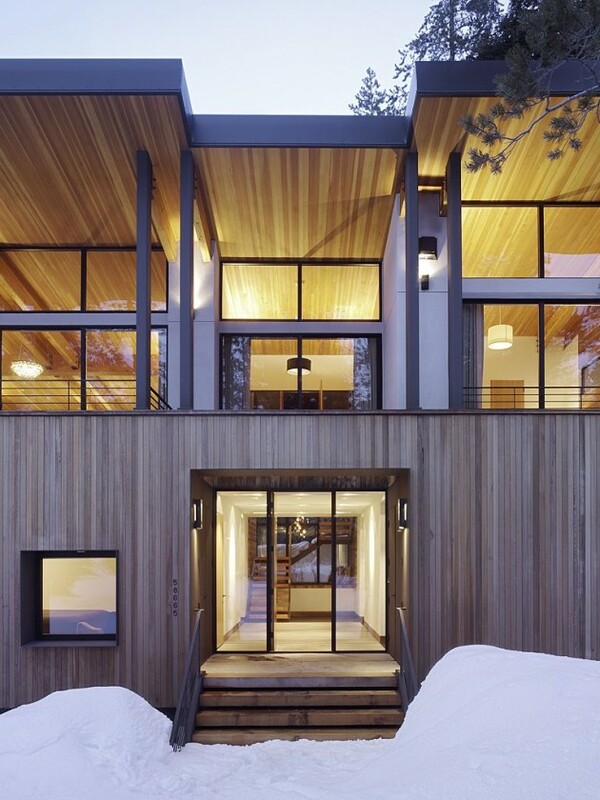 At the first floor, a solid, cedar-clad volume houses entry, boot room, children’s and guest bedrooms, and service spaces. 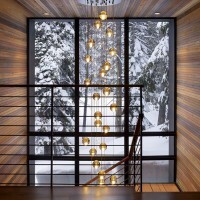 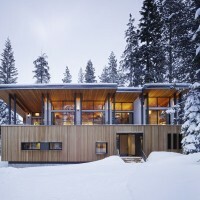 The exaggerated and abstract geometry of the fenestration at this level frames exaggerated views of horizontal snow drifts and vertical stands of pine trees. 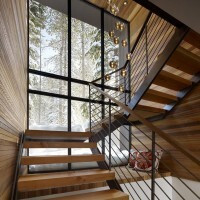 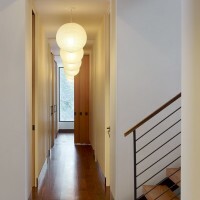 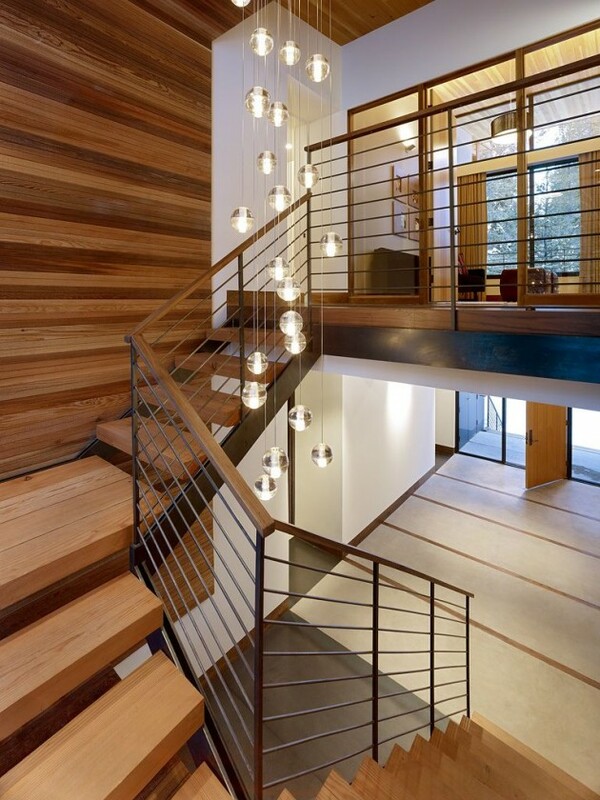 In an otherwise horizontally oriented house, a two story glazed wall at the main stair provides a singular vertical perspective on the stands of surrounding pines and provides a moment of transition from the heavier base element to the light-filled airy spaces above. 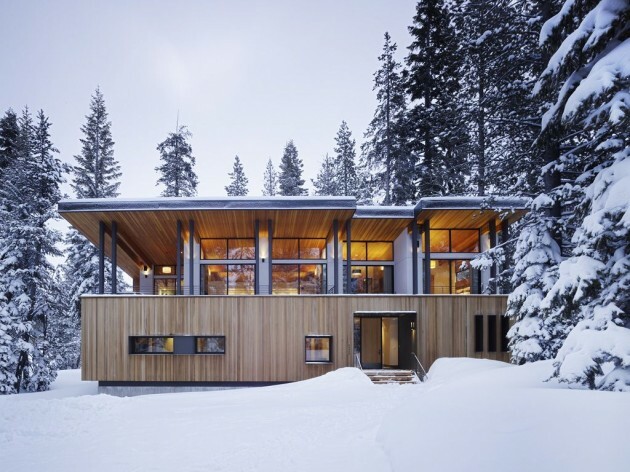 On the upper level, a variety of living spaces and the master bedroom suite,each enjoying mountain views, are gathered between the linear roof form and the simple block below. 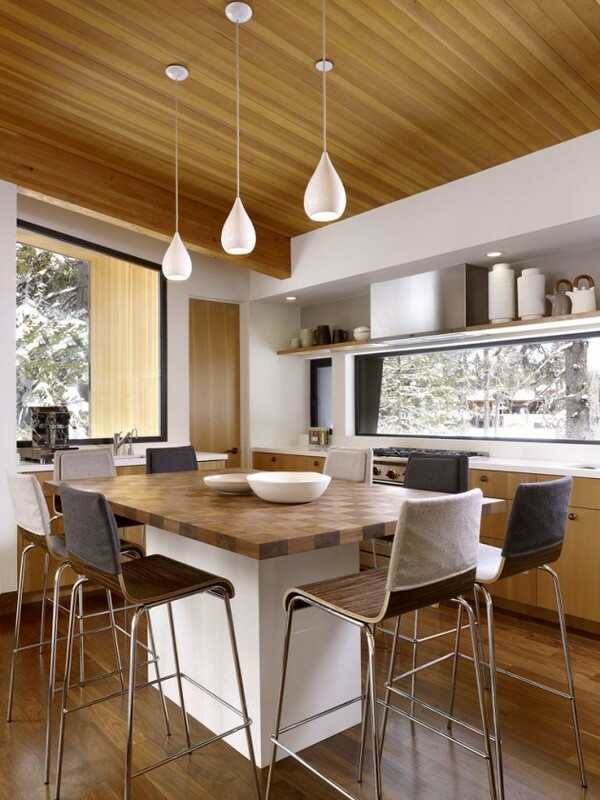 The interior palette of walnut, fir,concrete, and steel strikes a balance between clean, modern spatial expression with the warm, rustic feel of a mountain home.